The New Croft are hosting ITFC PDP Trails on Monday 6th & 13th on the 3G. This is an academy run programme with progression up the Elite pathway. 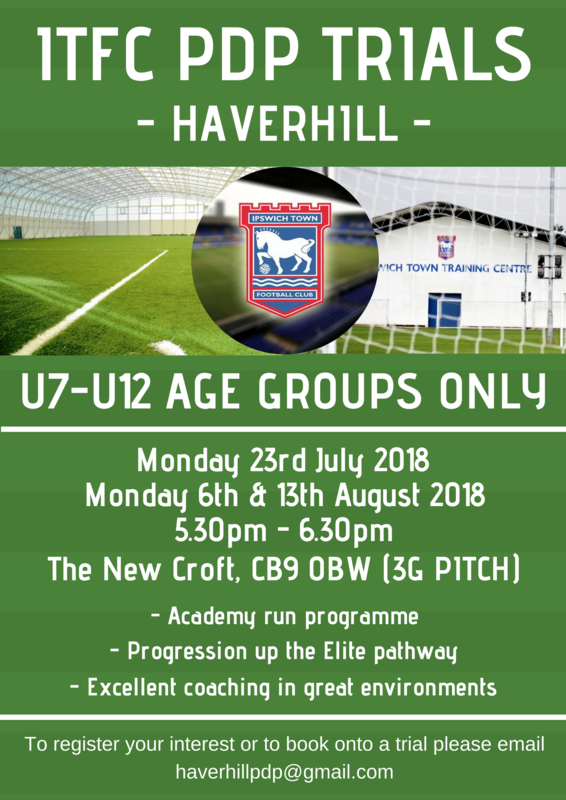 To book a place please contact haverhillpdp@gmail.com.